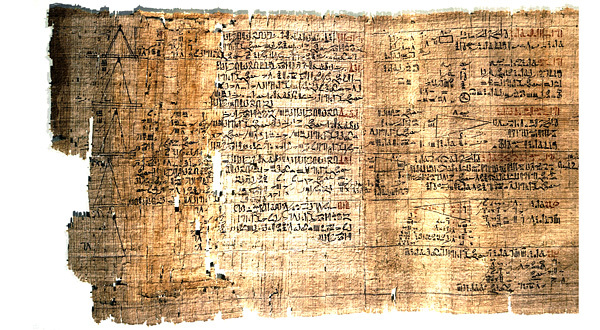 It is thought that the Egyptians introduced the earliest fully-developed base 10 numeration system at least as early as 2700 BCE (and probably much early). 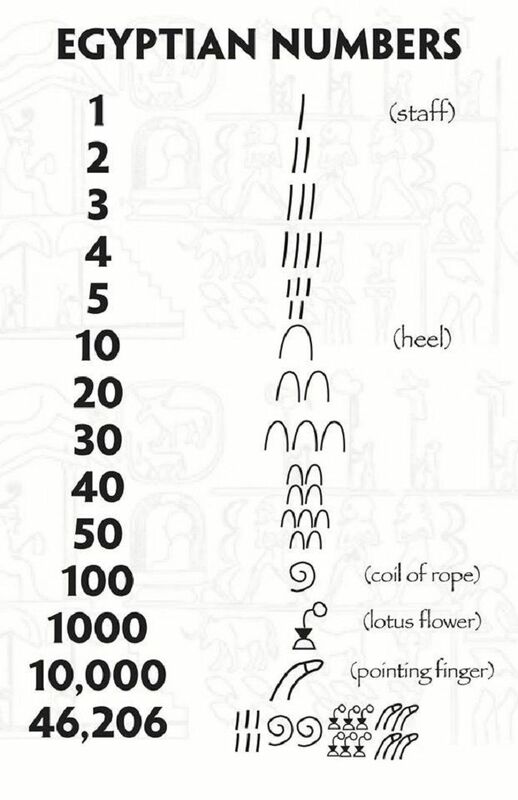 Written numbers used a stroke for units, a heel-bone symbol for tens, a coil of rope for hundreds and a lotus plant for thousands, as well as other hieroglyphic symbols for higher powers of ten up to a million. Simple mathematics on Oracle bone script date back to the Shang Dynasty (1600–1050 BC). One of the oldest surviving mathematical works is the Yi Jing, which greatly influenced written literature during the Zhou Dynasty (1050–256 BC). For mathematics, the book included a sophisticated use of hexagrams. Leibniz pointed out, the I Ching contained elements of binary numbers. 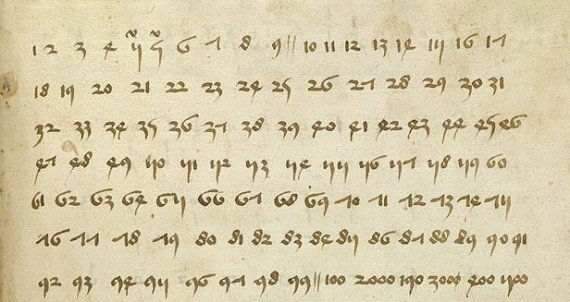 Mantras from the early Vedic period (before 1000 BCE) invoke powers of ten from a hundred all the way up to a trillion, and provide evidence of the use of arithmetic operations such as addition, subtraction, multiplication, fractions, squares, cubes and roots. Historians traditionally place the beginning of Greek mathematics proper to the age of Thales of Miletus (ca. 624–548 BC). Little is known about the life and work of Thales, so little indeed that his date of birth and death are estimated from the eclipse of 585 BC, which probably occurred while he was in his prime. Despite this, it is generally agreed that Thales is the first of the seven wise men of Greece. The two earliest mathematical theorems, Thales' theorem and Intercept theorem are attributed to Thales. Thales is also thought to be the earliest known man in history to whom specific mathematical discoveries have been attributed. Although it is not known whether or not Thales was the one who introduced into mathematics the logical structure that is so ubiquitous today, it is known that within two hundred years of Thales the Greeks had introduced logical structure and the idea of proof into mathematics. 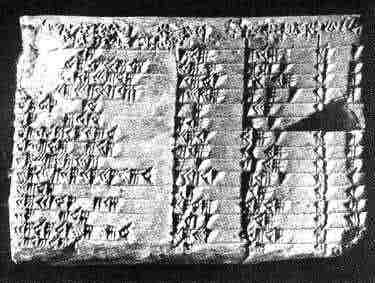 Babylonian mathematics (also known as Assyro-Babylonian mathematics) was any mathematics developed or practiced by the people of Mesopotamia, from the days of the early Sumerians to the fall of Babylon in 539 BC. 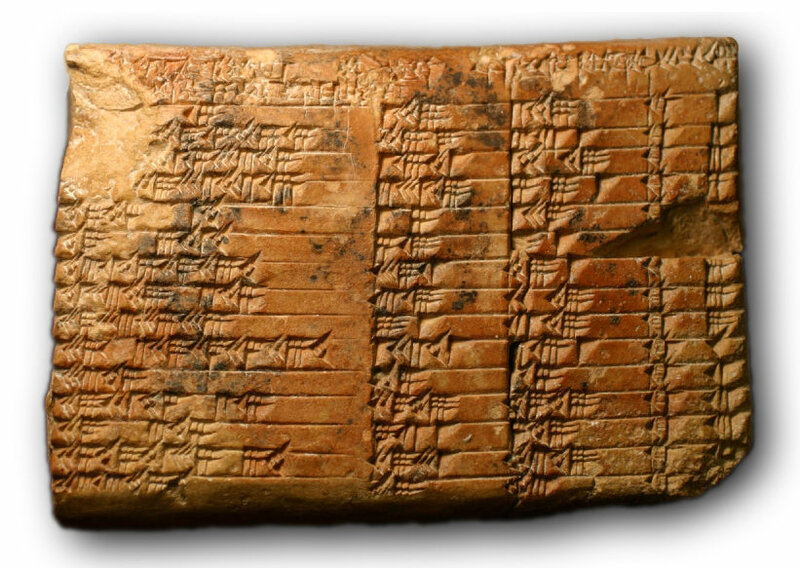 Babylonian mathematical texts are plentiful and well edited. Among the greatest mathematicians of ancient China was Liu Hui, who produced a detailed commentary on the “Nine Chapters” in 263 CE, was one of the first mathematicians known to leave roots unevaluated, giving more exact results instead of approximations. .When Chinese, Islamic, and Indian mathematicians had been in ascendancy, and Europe fell in Dark Ages, almost all mathematics and intellectual endeavor stagnated. .From the 4th to the 12th century, studies of geometry, arithmetic, and translations was limited to Boethius translations of some words of ancient Greek masters. 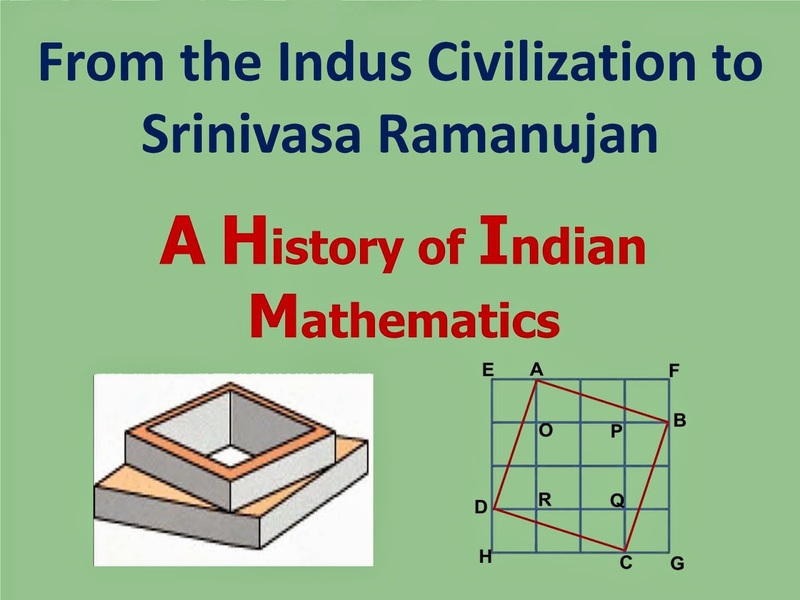 -In the classical period of Indian mathematics (400 CE to 1600 CE), important contributions were made by scholars like Aryabhata, Brahmagupta, Mahāvīra, Bhaskara II, Madhava of Sangamagrama and Nilakantha Somayaji. -The decimal number system in worldwide use today was first recorded in Indian mathematics. .The Islamic Empire made significant contributions to math, since the 8th century. .Over time, Muslim artists discovered all different types of symmetry that can be done on a 2D surface. .An important person in the early 16th century was an Italian Franciscan friar named Luca Pacioli. .Later, multiplication, division, decimal, and inequality symbols were getting more recognized. .The invention of the logarithm in the early 17th century was made by John Nopier. .French Mathematician, Girard Desargues, is considered a founder of field of protective. .France became more prominent towards the end of the century. .Joseph Louis Largrange worked with Euler in a join work on the calculus of variation. .Jean-Robert Argand posted a paper on how complex numbers can be shown on geometric diagrams. .George Peacock is usual credited with the invention of symbolic algebra. 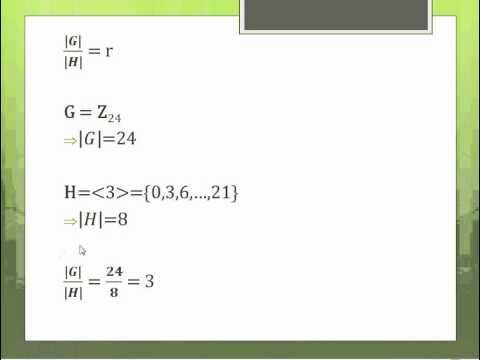 .Abstract math is a branch of math concerned with the general algebraic structure of various sets. .In the early 20th Century, there was the beginnings of the rise of the field of mathematical logic. .Hilbert was responsible for several theorems and some entirely new mathematical concepts. .Here in the present, we learn from our history to then discover new branches of math. .Our math will evolve more in time, as in more formulas and answers. There is no one "father" of math, by any reasonable definition. Every mathematician is a father or mother of math. Some are parents to huge swaths of math (e.g. Archimedes, Gauss, Euler, Erdos etc). Others to a single theorem or to a generation of mathematicians.